Ed Jacobs reports on the results of the first referendum about Scottish independence using the same question as Salmond; he suggests the results aren't as positive as they seem. Scotland is speaking on the issue of independence. What they are saying however remains far from clear. Based on this, 37 per cent of those questioned agreed with the statement, while 42 per cent disagree, with 21 per cent declaring themselves undecided. However, of those who argued that they were certain to vote, 47 per cent said they supported independence whilst 53 per cent were opposed. After just the first few weeks of the referendum debate, it is abundantly clear that the positive approach towards Scotland’s future is winning over the negative approach from the anti-independence parties – with support for independence now neck-and-neck with opposition. The poll shows that the people of Scotland are extremely positive about our future as an independent nation – if there was never any doubt that the anti-independence parties are out of touch with the mood of Scotland, this poll proves it. Dig a bit deeper however and despite the rhetoric from the SNP, the numbers aren’t quite as rosy for them as Ms Sturgeon would suggest. Polling since the new year, whilst showing significant support for independence, doesn’t yet seem to have achieved the break through the SNP would need if they were to succeed in their ambitions for Scotland. The Herald meanwhile today carries details of a TNS-BMRB survey suggesting that any hint of a tide in favour of independence might, if it ever existed, have been fairly short lived. TNS-BMRB had just started sampling on January 25 based on the wording it has used since the first SNP administration announced its referendum proposals in 2007. It offers two options: To agree that the Scottish government should negotiate with the UK so that Scotland becomes an independent state, or to disagree with that proposal. The survey of 998 adults, between January 25 and February 1, indicated 35 per cent would vote Yes in agreement, down four points on last August, and 44 per cent would vote No, with 21 per cent undecided, down two. The poll also repeated a three-option snapshot first taken in October 2011 asking for preferences between maintaining Holyrood’s existing powers, giving the parliament more powers, or full independence. Support for the status quo has risen from 29 per cent to 32 per cent, backing for more powers has fallen from 33 per cent to 30 per cent, and backing for independence drops from 28 per cent to 26 per cent. For those, including myself, who have long argued that Alex Salmond cannot be underestimated in what he is capable of achieving, today’s findings provide a crumb of comfort. It is beholden on those supporting the union now to provide a positive alternative, vision for the future of Scotland that does not rely solely on a negative critique of independence. Most of the polling conducted so far has used really poor metholodgy, I penned a piece on my own blog discussing this – http://www.thegroan.com/2012/02/polls-apart.html until polling companies start using better samples and more accurate questioning it is almost impossible to draw any reasonable conclusions. 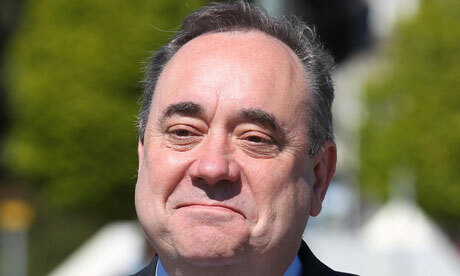 The Samosa » Archive » SNP: Polls apart? The three option question results with 3% changes are within the margin of error. Can’t really read into it too much. We have to remember that this is a slow burn debate. The referendum is two years away and hence we should expect to see fluctuation in both directions from poll to poll. There will likely not be any big swings between poll’s until we actually reach 2014. However looking at the general trend over a longer period is quite interesting. Before May last year independence was polling consistently at 29%, polls are now consistently showing support between 35-45%. Support for both yes and no also seems to be quite a bit softer than before with a very large ‘don’t know’ section. It’s become all to play for. Who will eventually win out is quite frankly anyone’s guess but I would put money on the SNP due to their well organised, well funded campaign machine. Other factors such as the YES side being united behind a single party with a clear goal and their ability to better connect with patriotic emotions of the Scottish population enforce my belief that independence is a likely outcome. Until quite recently, most polls, inexplicably, had the question biased in favour of preserving the union. Now, when we are seeing a more realistic question (as in closer to what will be on the actual ballot), things are changing, and opinion is growing for self-determination. You ask for a positive case for the union? Here’s an unjustifiable, undeniable reason for ending it – Democratic deficit. The UK government is almost always chosen solely by voters in England at a General Election. At least nine times out of ten, the Scots are stuck with the party England voted for, like it or not. Unaccountability is the fatal flaw of being in a union with a country more than ten times your population. And it’s why the union can’t last. A fundamental touchstone of democracy is missing. Of course, you have to be of the opinion that the UK is actually two separate countries. Since it is, and since the majority of Scots are aware of this, then the above fact remains.